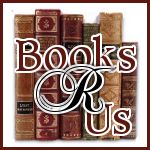 Ginger High- Books R Us: GIVEAWAY AND REVIEW OF HIGHER EDUCATION BY K. JEDDING. GIVEAWAY AND REVIEW OF HIGHER EDUCATION BY K. JEDDING. 1. Interviews- It is important to put yourself out when looking for a job. It is important to network yourself, attend events and go on numerous interviews the closer you will be to getting a great job. 2. Finding your passion- He discusses techniques to clear away any obstacles that you may be having and to spark your inner flame. This will help you find out what you want to do with your life. 3. Frequently asked questions about careers. The author has compiled a list of great questions that most grads will ask when getting out of college. 4. Parents- The author devoted an entire section on the topic of parents and how they can affect the new grads future. 5. And many more interesting topics. Kenneth Jedding holds a bachelor’s degree in French language and literature, a Master of Social Work and a Master of Education. He has also been a banker, a teacher and a mentor through various programs in New York City and abroad. For 10 years, he has lectured as a career counselor and life coach at colleges and universities across America. I found the book to be a great reference not only for college grads but for anyone just graduating high school. Some people will not go to college and need to get a job to live in these trying times. The information provided was practical, well written, and included real life scenarios of people struggling to get a job. The book will assist you in facing the challenges that await you. When I graduated in the 80's, life was not as complex as it is today. I found my true passion as a nurse for over 25 years and I have never once regretted it. Thanks to Imran from the Meryl L. Moss Media Relations,Inc I am able to give away a copy of the book. Disclaimer: I received a copy of the book from the Meryl L. Moss Media Relations, Inc for my honest review and I was not compensated for my review. +1 comment -- Please enter me in this giveaway! +1 comment - sounds like a useful book to read. +1 comment - Enter me.